We all love chocolate. Sometimes a little too much. Sometimes so much that it becomes unhealthy. But maybe we don’t have to give up chocolate, we just have to change the kind of chocolate we eat. The one magic plant that makes chocolate so delicious —cacao— is the secret to all of our chocolate obsessions. The seed is dried and fermented, carrying with it a deceivingly brown, powdery texture resembling hot chocolate mix. Take a small taste to find out that cacao by itself has a terrible flavor. Only after sugar is added and the seed is processed does the chocolate we savor come to life. Although raw cacao products are the most packed with flavonoids and theobromine, some of the antioxidants that make dark chocolate so good for us can be found in most dark chocolate products at your local grocery store. Recently, marketers have been making it a point to list dark chocolate cacao content by a percentage on the front of the package to help delineate the higher level of antioxidant-fighting flavonoids and theobromine. One of the key flavonoids in dark chocolate, epicatechin, has been linked to improving heart health by increasing the expansion of the blood vessels to lower blood pressure. This speaks to the larger argument that dark chocolate also reduces inflammation — and is a great go-to ingredient to keep in the cabinet in case those chips and salsa were too spicy. But dark chocolate can even help you cut back your cravings for other foods as well. The University of Copenhagen found evidence to suggest that the darker and more bitter the chocolate, the more likely you are to eat smaller portions. The particular flavor profiles of dark chocolate help reduce the appetite and stimulate metabolic processes. 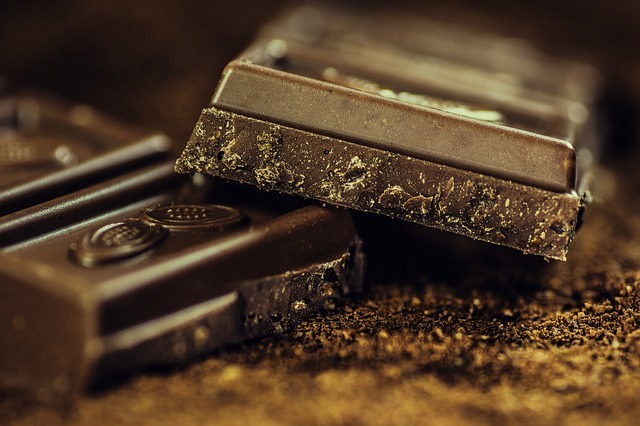 Dark chocolate can also improve your overall functionality by harnessing the power of theobromine to lower cholesterol, improve mood and energy, as well as helping you stay hydrated. And surprisingly, dark chocolate is a good source of fiber too, with raw cacao nibs coming in at nine grams of fiber per ounce! Makes you think twice about adding chocolate to your oatmeal in the mornings. Most doctors would suggest a serving of around seven ounces a week to start enjoying the benefits of dark chocolate. With an ounce for every day of the week, consider recipes that will excite your taste buds: drizzle on strawberries for a sweet treat, coat a pita chip or an almond for a salty snack, or mix into a creamy serving of greek yogurt for a boost of energy on the fly. Here at Freedom Home Care we pride ourselves on service and education, so we hope you and the people you love enjoy these delicious and healthy tips for getting your chocolate fix!